BDO Private Bank has opened the doors to its eighth lounge, another warm and welcoming venue for valued clients to explore opportunities for enhancing and preserving their wealth. 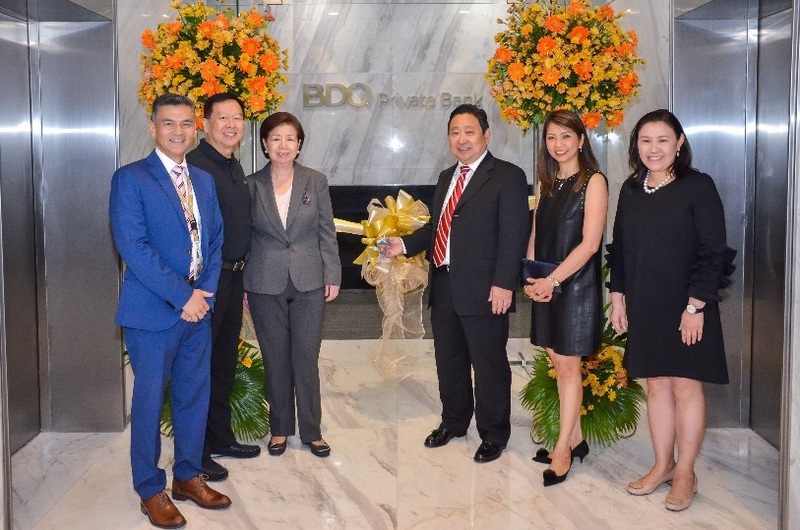 Located at the 47th floor of the BDO Corporate Center Ortigas, the new lounge is the Bank’s sixth lounge in Metro Manila. The other two are in Cebu and Davao. In photo: Directors Johnip G. Cua and Violeta O. LuYm (second and third from left) graced the ribbon-cutting, joining Juan Sabino P. Lizares (Head of the Wealth Advisory & Trust Group, leftmost), and from right, Stella L. Cabalatungan (Head of the Relationship Management Group), Cheryll B. Gavino (Head of the Ortigas Lounge), and Albert S. Yeo (President of BDO Private Bank).